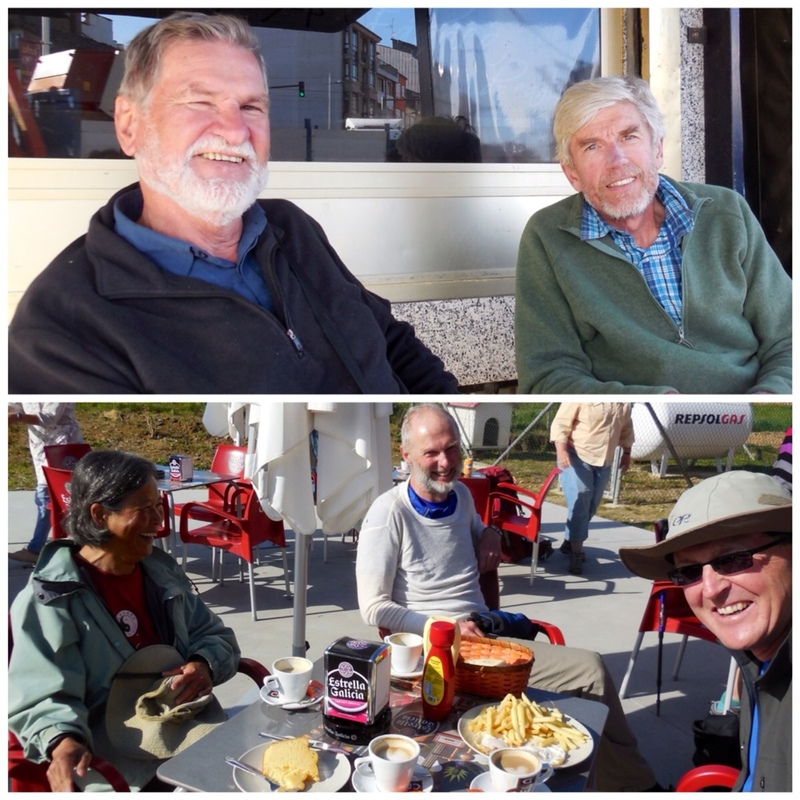 We shared happy hour Friday with two engaging Australian chaps who we last saw two weeks ago. At a breakfast stop with Canadian friends Saturday, my eggs and potatoes order created quite a commotion when it arrived. Several Brits behind me came to see and one nearly made off with the plate! A careless mistake made me realize how accustomed I have become to walking with a backpack. Sue and I stopped at a bar for coffee Saturday and I put my hat on a chair. We had walked about half a mile, up a steep hill, when I realized I had no hat. I left my pack with Sue for my retrieval mission. Have you ever had a dream that you were flying? That is how I felt coming back up the hill without my pack. Bev and I are 2 days behind you and planning to do Finisterre or Muxia.